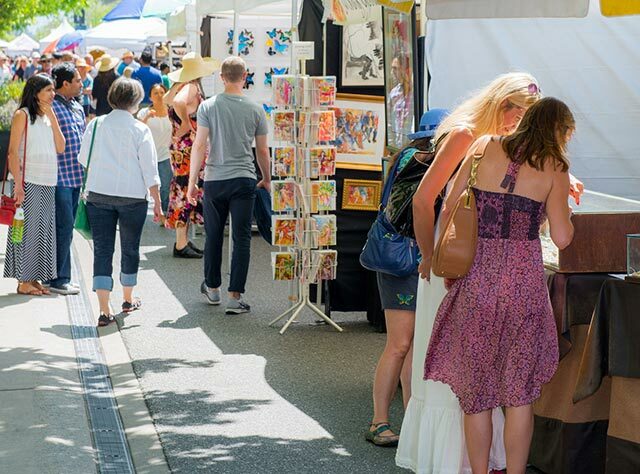 The Mountain View Central Business Association (CBA) welcomes you to downtown Mountain View for A La Carte & Art, the Bay Area's official kick-off to the bustling outdoor festival season. If you’re a new visitor to Mountain View, we hope you enjoy the rich diversity of our downtown and all it has to offer. From specialty shops, sidewalk cafes and coffeehouses to our acclaimed Center for the Performing Arts, bookstores and galleries, downtown Mountain View is a place of excitement, culture and charm. The CBA, a non-profit organization made up of local merchants and businesses, is dedicated to promoting business growth through participation and sponsorship of numerous community activities and events. A La Carte & Art is one of the events that strengthens our relationship with the community and showcases Mountain View’s unique downtown area. The CBA advocates for downtown improvements and strives to build cooperative relationships among downtown businesses, community groups, neighborhood associations, and local government. A La Carte & Art is the CBA’s largest fund-raiser. Last year’s festival brought thousands of visitors to Mountain View to experience a quality festival of art, food, music and family fun. With attractions sure to capture the imagination of everyone, from the very young to the seasoned festival fan, the Central Business Association is certain that A La Carte & Art and the unique charm of downtown Mountain View will make you want to return again and again. For information on downtown Mountain View and the Central Business Association, visit http://www.mountainviewdowntown.com.